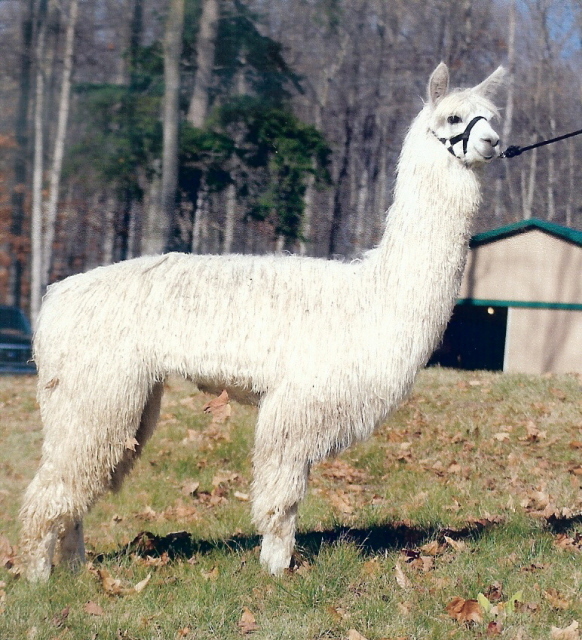 It has been in the last few years that I have considered expanding our farm to other species along with the llamas. 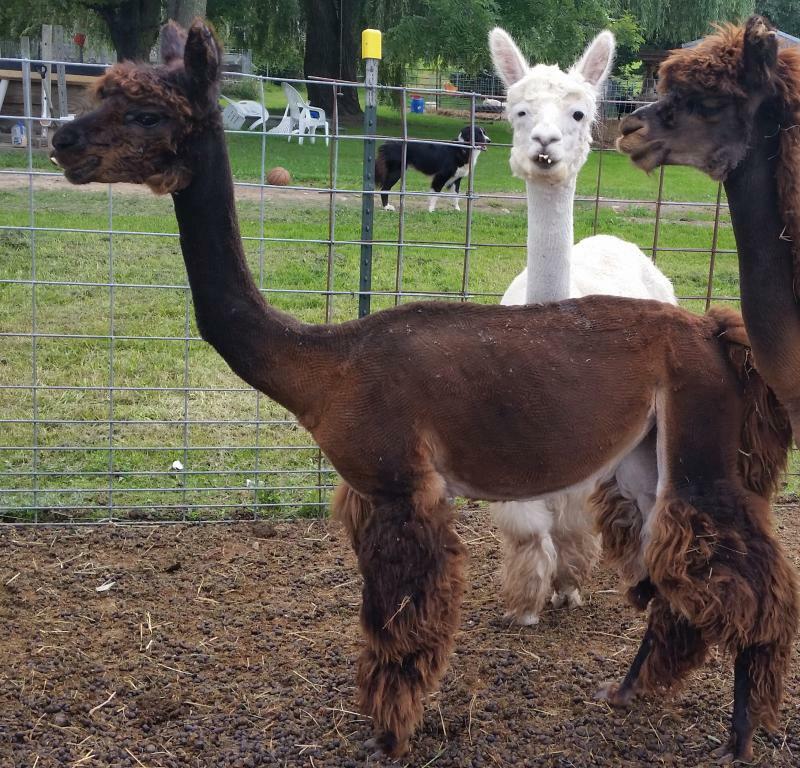 I am glad to announce that we have are making a change to the farm to include both Huacaya and suri alpacas. 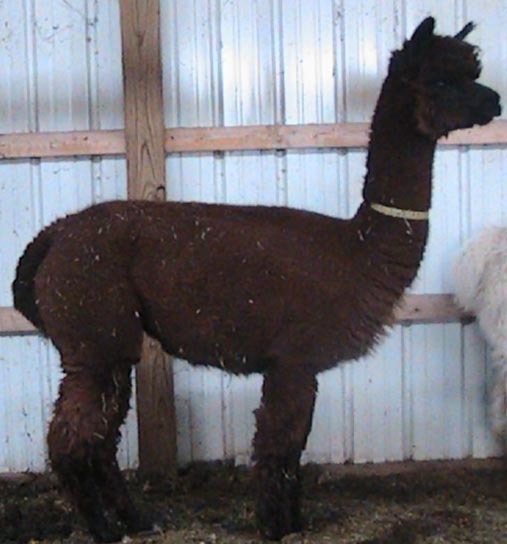 We will be expecting our first crias in the fall of 2013. One of our newest additions to the farm! 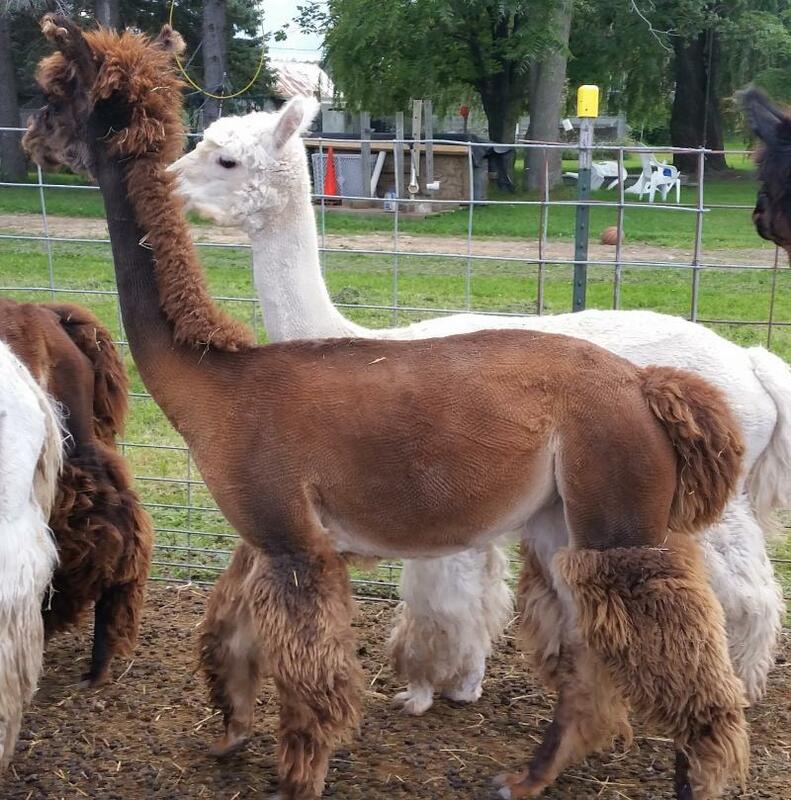 Mambo is a beautiful suri alpaca female that we aquirred from Maple Wood Farms. 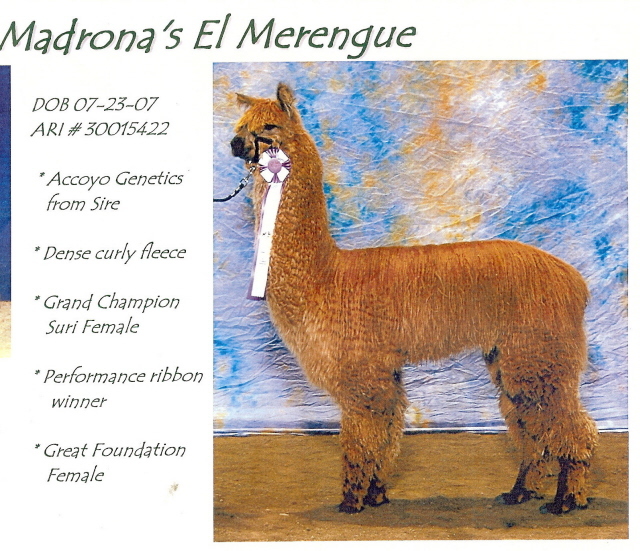 She comes from Accoyo genetics on her sires side. 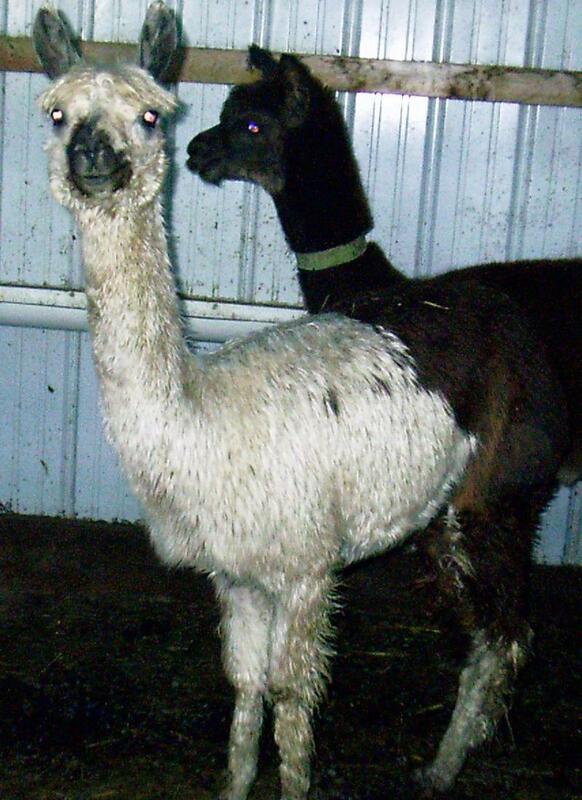 A full sister to Mambo, Merengue has also joined us from Maple Wood Farm. Erin is a sweet little suri girl who is friendly and likes people. She is easy going and lots of fun! Carla came to us from Lazy G's. 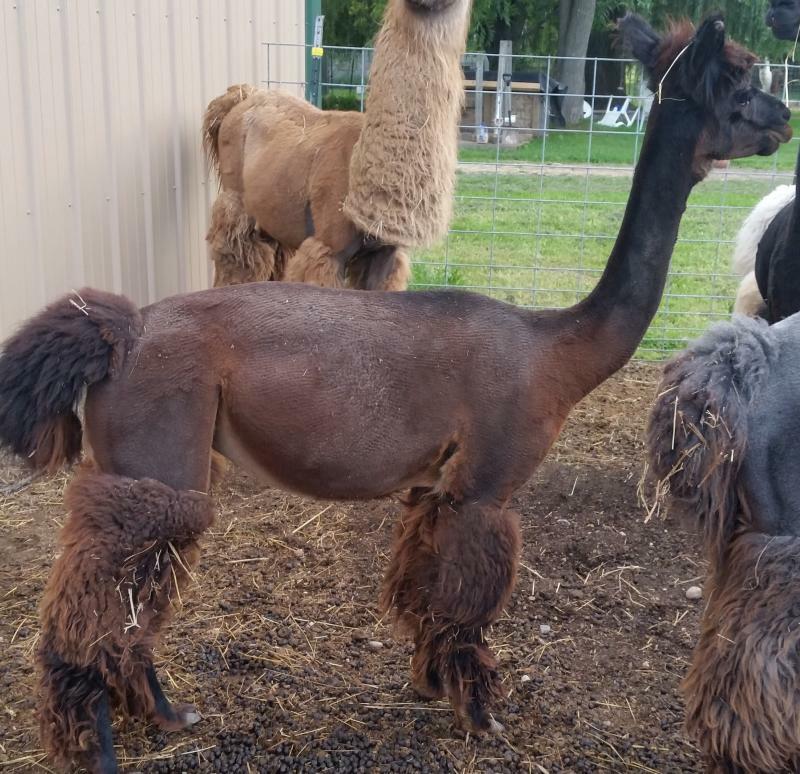 She is a quiet girl that has the most fabulous fiber!!! A total sweetheart! Our new suri girl. Lexie picked this girl out of a crowd. Love thoses cream colored suri locks! This guy is WAY too cool! 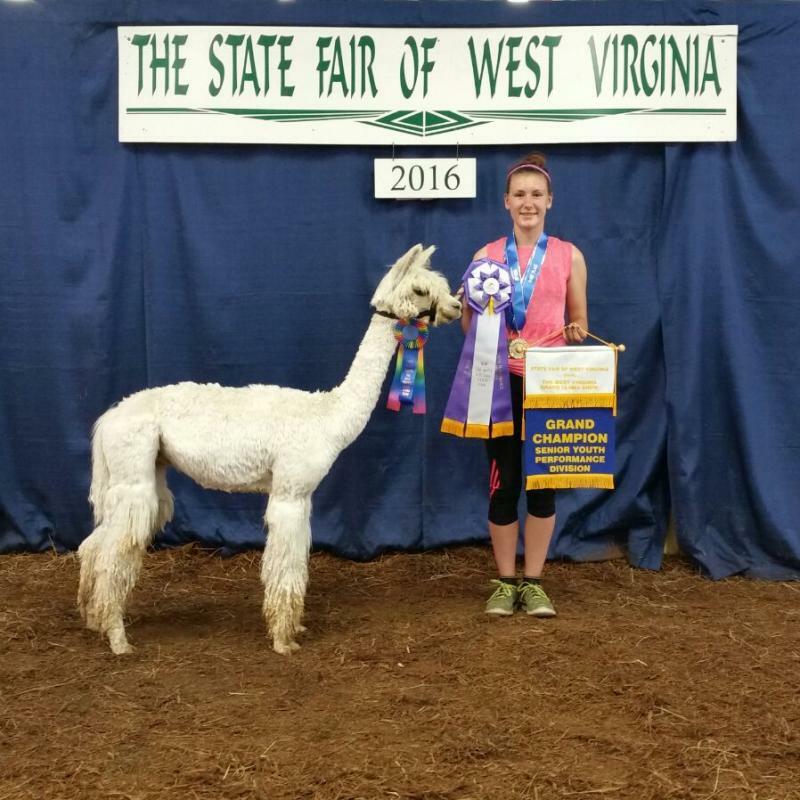 He has been being used for halter, showmanship, and performance! Vesusvius is a real trooper! Heart fo Gold! Lindsay is one of my personal favorites. She is friendly and easy to work with. A sweet girl who never causes any problems. 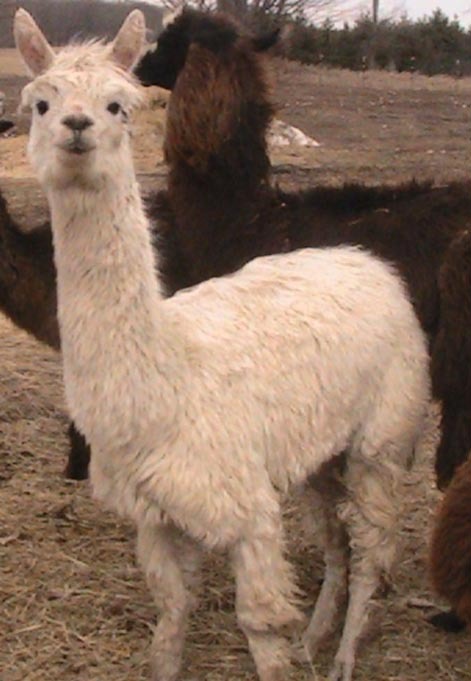 Beautiful huacaya fleece. Pablo is one of my two huacaya geldings. I think that fall is his favorite season because this guy loves to run around with a leaf in his mouth, twirlling away! One of the nicest fleeces I have ever seen! AMAZING!! Desiree has been quite level headed and easy to work with. 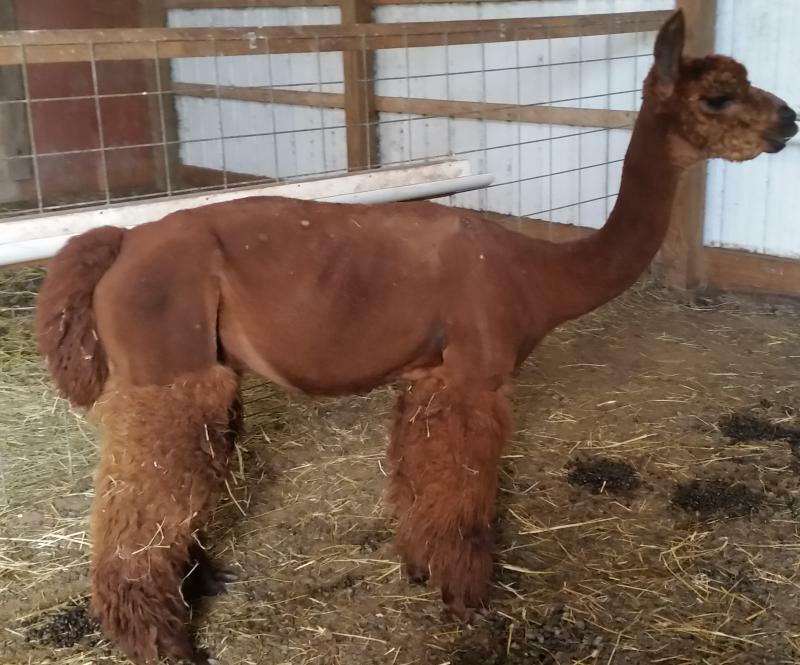 You might just see her around next year at an alpaca show. I believe that performanace may be a possibility with this gal.